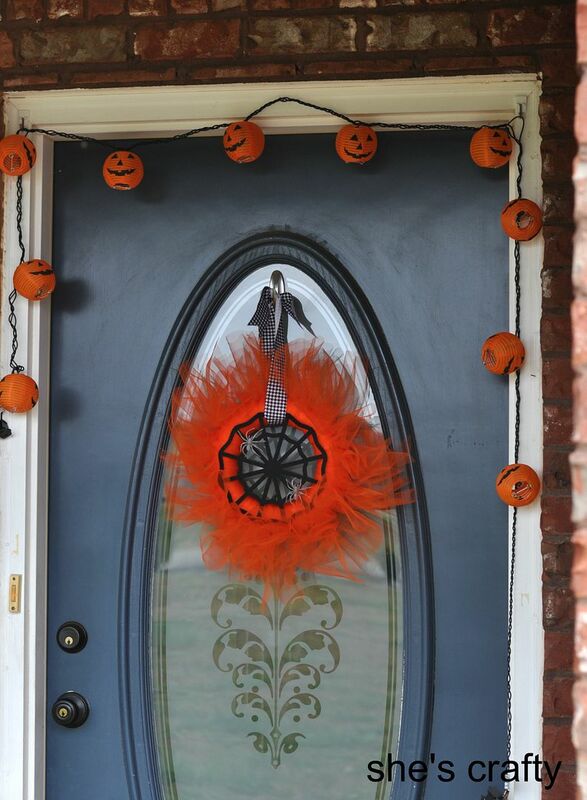 Welcome to our Halloween front porch! 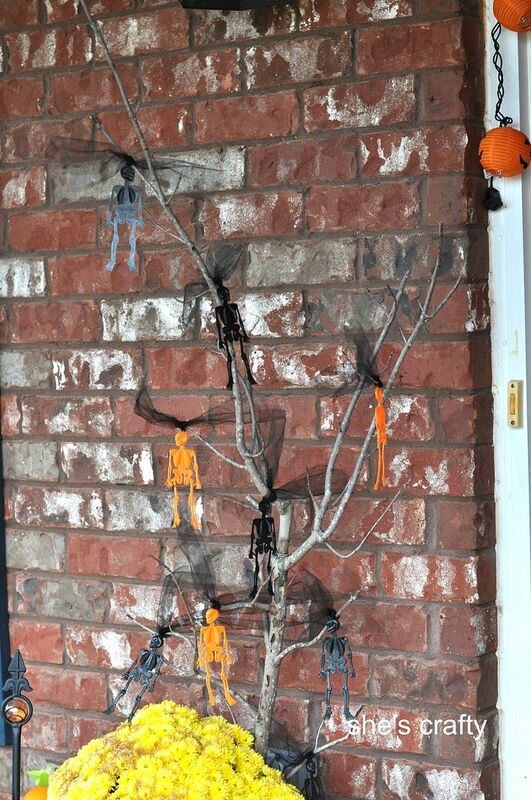 My favorite part is the skellie tree!! 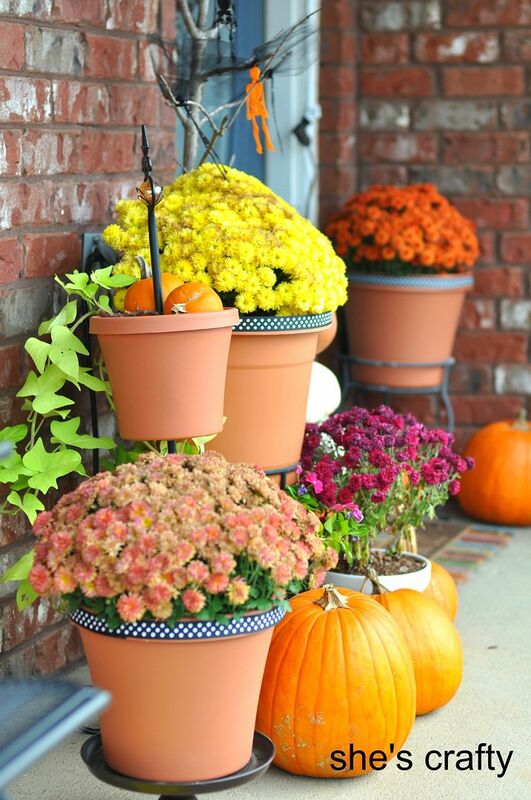 I took a stick from my yard and stuck it into the pot of mums. As I have said, I'm not really into scary Halloween stuff. 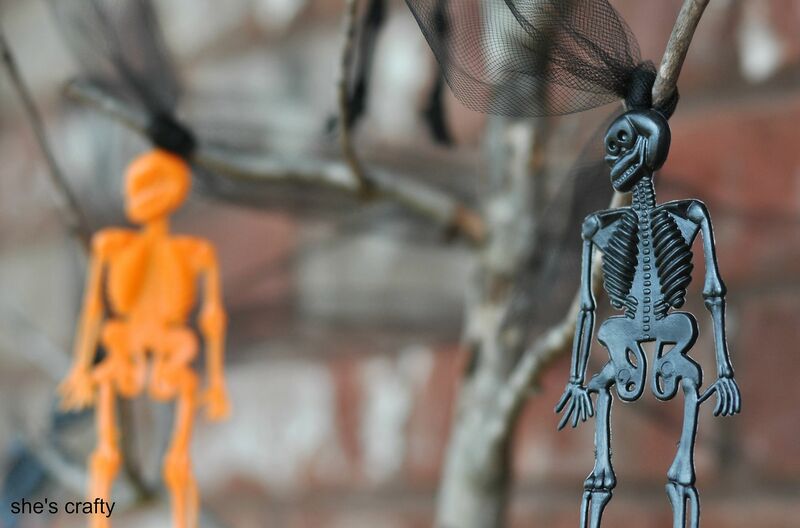 But these little skeletons are too cute tied to the branch with tulle to be scary!! 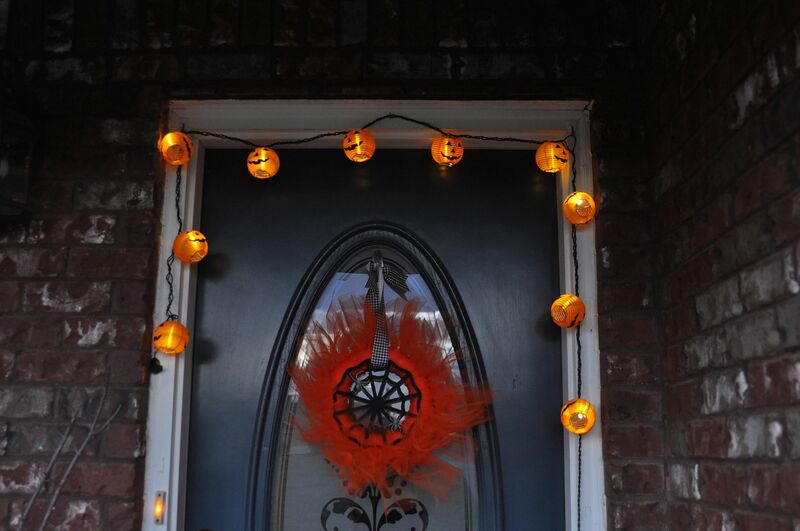 Not-so-spooky but oh so festive Halloween tulle wreath and pumpkin lights. I hot glued some ribbon to basic terra cotta pots. I think it adds a little sass and flair to them. 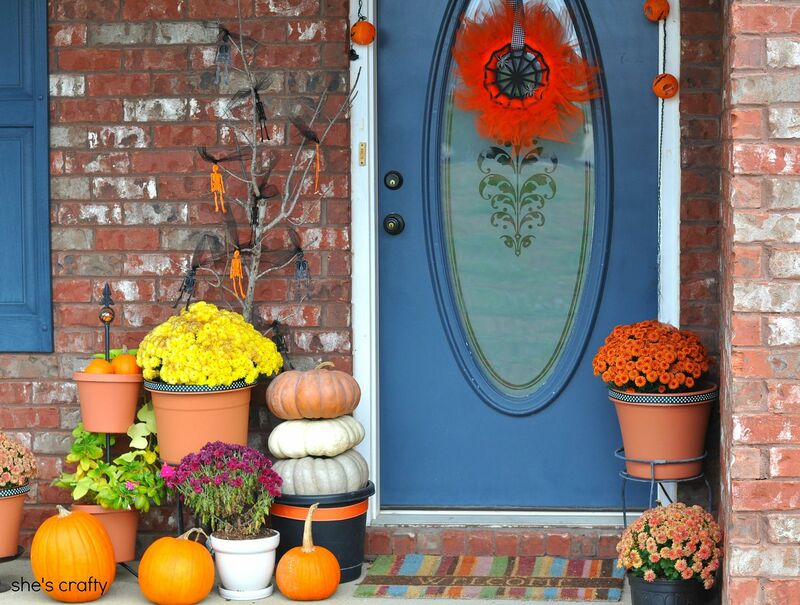 I hope you all have a very Happy and safe Halloween! !